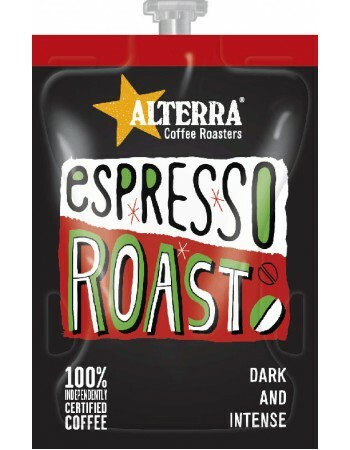 Indulge yourself with a perfect ALTERRA COFFEE ROASTERS, Flavia Espresso Roast Coffee. A luscious blend of dark roasted beans, delivering a heavy bodied, bold and earthy flavoured cup. Fast Drinks vending are your first choice for secure Internet ordering and FAST delivery of Mars Flavia Espresso Roast Coffee refills. We are a leading Flavia supplier based in the UK. Our prices are often the most competitive on the web and we are proud of our outstanding on-going customer service and support.